1.3 ultra bright white LED light bulbs. 2.2V/40mA Solar Panel.Pre-installed 1 pc AA battery: 1.2V/600mAh Ni-Cd battery. 3.Lights are charged by the sun and automatically turn on at dusk. 4.Backed by a one-year limited warranty. 5.Produces a white light output of 1.2 lumens. 6.Crystalline solar panel for longer charges and lighting. 7.Turns ON at dusk and OFF at dawn automatically everyday (Dusk-to-Dawn). This light is easy to install-just stake them into the ground straight out of the box. 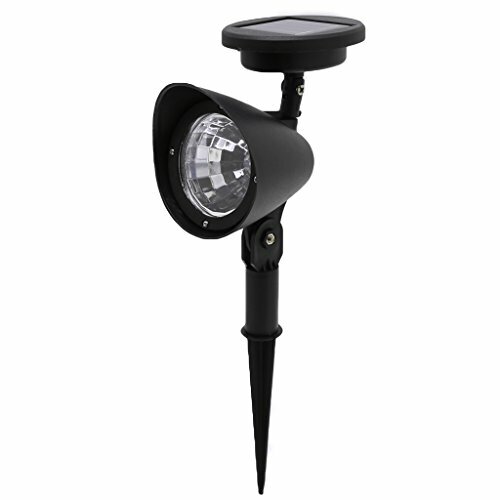 With its elegant and modern design, these solar path lights will enhance the curb appeal of your home and make it standout in the neighborhood. Easy to install solution is ideal to enhance the landscaping and architectural features of your home. The high quality crystalline solar panel technology will recharge the batteries during the day to light up your night. Convenient solar-powered LED floodlights to highlight architectural and landscape focal points,180-degree adjustable light angle to direct floodlight where you want it most. Durable rust-resistant plastic construction to withstand the elements.Weatherproof stainless steel body and plastic lens. If you have any questions about this product by slowsilent, contact us by completing and submitting the form below. If you are looking for a specif part number, please include it with your message.